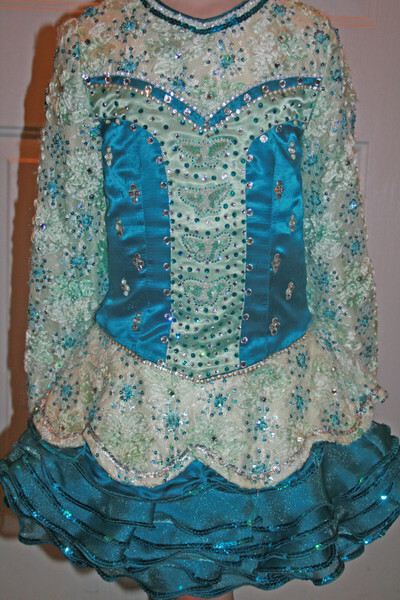 This absolutely stunning teal blue / turquoise and mint green ruffle dress with butterfly adornment attracts immediate attention and with the combination of modern design, amazing sparkle and exquisite materials, it stands out on stage! 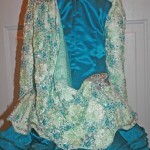 The center panel is adorned with 4 mint green pearl and sequined butterflies and over 100 teal and clear Swarovski crystals. 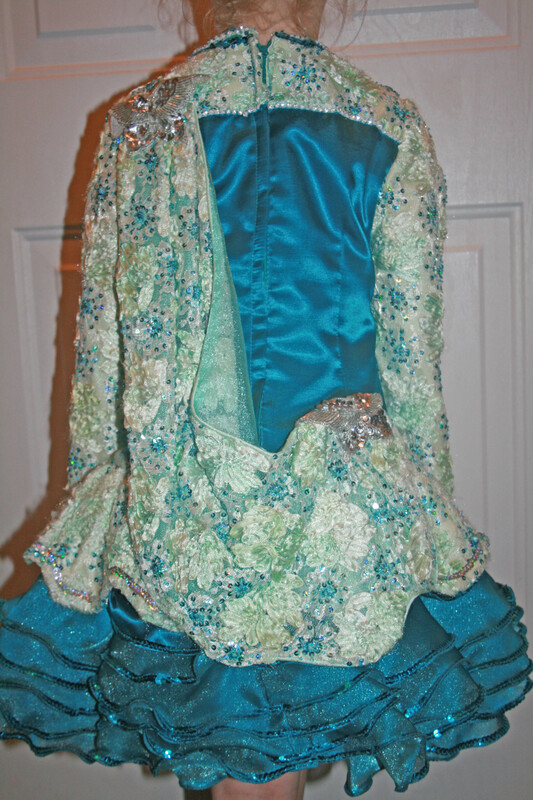 The dress is made from a combination of exquisite teal and mint ribbon and sequined lace; the highest quality organza (7 layers on bottom of dress) and shantung. Swarovski crystals and silver sequins have been placed strategically to pick up the light. It includes a matching headpiece, bloomers and cape. Also matching Swarovski earrings – large gems that attract attention. Regretfully having to sell dress because of growth. Suitable for a slim 7-9 year old. Made by Kay Glancy. Asking Price: $US400. Shipping costs are included for my own country, overseas shipping is extra. Returns are negotiable.